The Frizione 2.4″ car dash cam records in 4K. You can also choose lower resolutions for smoother videos and if you don’t have a enough storage space. You can use choose the duration of the loop recordings : 3 , 5 or 10 minutes. There are some other dash cams that in my opinion offer a little bit better video quality. For example – Z-Edge Z3 (Amazon link). This dashboard cam has a big screen and offers 2K video recording resolution. The video quality is just amazing – very smooth and sharp videos. As many of you already know from my other reviews – I like this company very much. They make really good dash cams for reasonable prices. If you are looking for a more affordable dash cam, but still want great video quality – make sure to also check out the YI 2.7 (Amazon link) dashcam. It records in Full HD and the video quality is really stunning. It’s amazing that a camera this good costs so little. Few years ago – you would have to pay 2-3 times more for the same quality. I was very surprised to read that this dashboard camera supports MicroSD memory cards of up to 128GB (the card is not included of course). Most dash cams, especially in this price category only support 32/64GB memory cards. But with this camera – you will be also able to use 128GB cards ! That means more storage space and more videos you can store. While 128GB MicroSDs are not cheap, they are are much cheaper than they used to be. You can always just use a 64GB memory card – for most people it’s enough. Just make sure to format the card using your computer before inserting it to the camera. The Frizione dasg can has built in G sensor, as well as WIFI. Not all dash cams in this price range come with WIFI – which for many people is very useful. I persoanlly own few dashboard cameras, and some of them have WIFI. Do I use this function much? well, not really, but some of my friends do – on daily basis. 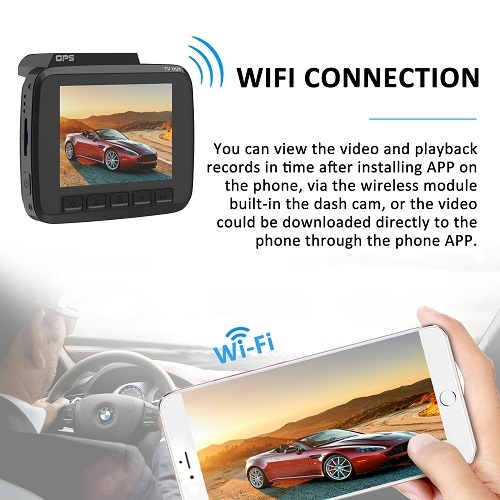 I am sure that in the future, we will see more and more dash cams with built in WIFI. 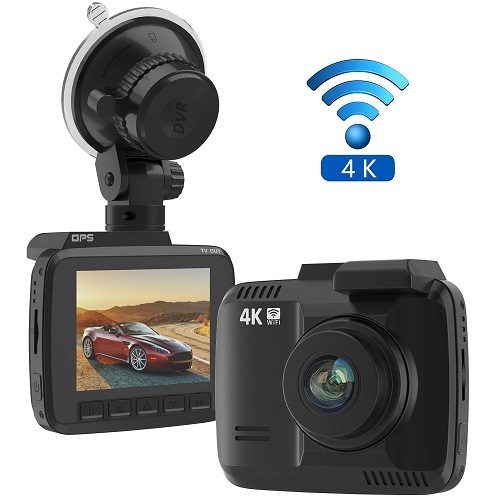 If you are looking to buy a very good dash cam with 4K video, WIFI, sensors and pretty much anything else one may need – buy the Frizione dashcam without thinking twice. It provides great value for your money, and for its price – I doubt you will find a better device. Make sure to check out other useful dashcam reviews on our website. I hope that you found this Frizione dash cam review useful as well. If you have any questions – comment below.